You'll need and want a kit sized just for your vehicle which will make installation a breeze. You have a choice on your Skin Color: Black/Black, Blue/Black, Red/Black, Green/Black, Yellow/Black, Orange/Black. After restoring my 1984 Chevy Impala, I noticed my engine could use a little freshing up. I thought about braided hoses, but I wanted something with a little extra flair. 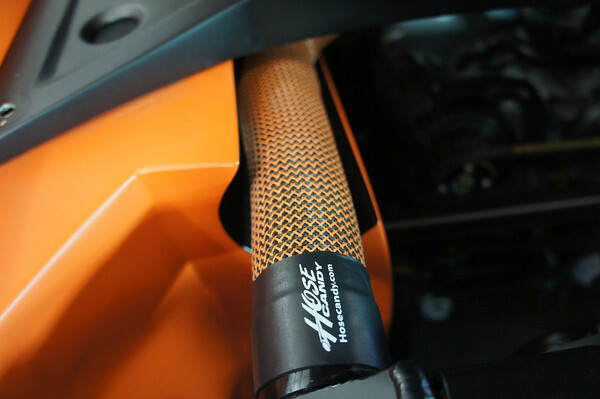 After searching Youtube I saw a Hose Candy video for a Mustang and was intrigued by the many colors available for the hose skins . Since I had Chevrolet Orange air cleaner & orange valve covers, I decided to go with Orange upper and lower radiator skins as well as the orange heater hose skins. Installation was a breeze- and made my engine look like a show car! I plan on purchasing more products from you in the future. Thanks Hose Candy for such a unique product and outstanding customer service. These hose skins look great and are so simple to install. 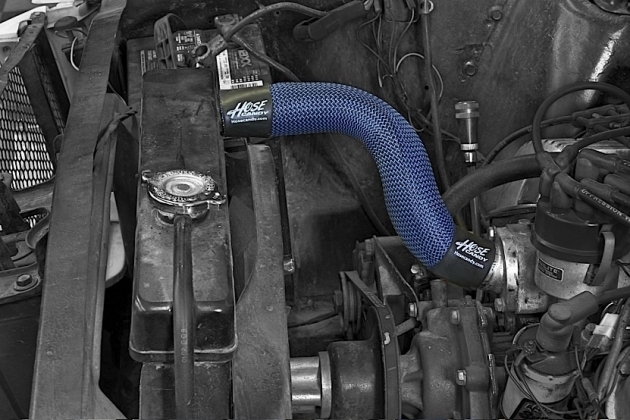 Every engine bay should use Hose Candy! There was a slight mixup when these hose skins came (honest mistake) and when I contacted Brick at customer service he was more than happy to assist me. He was very prompt to answer back and took care of the issue immediately with no hassle, I wish all businesses would operate as efficiently. I will definitely be using Hose Candy products for any of my next "projects". A+ product and service.